A successful homeschool mom participates fully with her kids and also engages with them during playtime. What does this mean for me? I am an active participate during our homeschool day. I am directing my children’s learning, asking them questions, sharing ideas, challenging them, and encouraging them in their efforts. What this means for me is much less time for my own pursuits during the day. I can sum it up in one word – sacrifice. 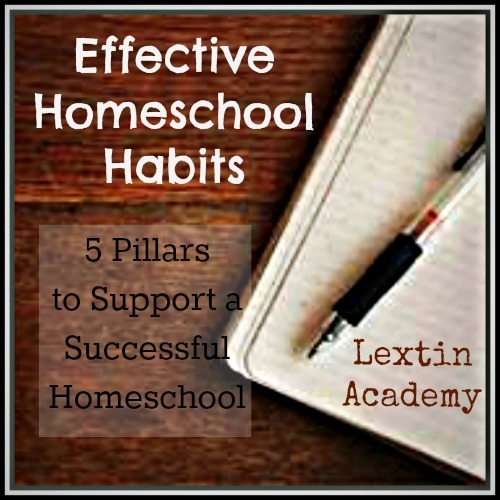 In order to have a successful homeschool, it will take some sacrifice on your part. You will have to put some things on hold for a time in order to give your kids your full attention. I put away the electronics. I don’t spend my day checking Facebook, reading blogs, making phone calls, or looking things up online. Nope, I put away the technology so I can participate in learning alongside my kids. This can be tough! I am excited to learn and I convey that enthusiasm to my kids. I get to direct my children’s education and I even have the privilege of learning too. I think it’s exciting that I have the opportunity to learn things I was never taught in school. My kids see me participating fully in the lesson as I share what I’ve learned with them. My excitement is contagious. You can learn through play. While homeschooling is a difficult task, you can lighten the atmosphere by infusing your day with some fun play. You can build lessons around play or integrate legos and blocks into your lessons. You can teach with puppets or dress up to experience a historical era. Play time is powerful – it allows children to make connections, explore topics, and retain information. What they think is playtime is actually a time of learning – use that to your advantage! You can simply play for fun. Did you know that not everything has to be educational? You can get out some games, lay on the floor, and simply play. You don’t need an agenda, a lesson, or a purpose. Play breaks are fun times to enjoy your kids and remind yourself why you want to stay home with them in the first place. Have fun and enjoy the journey! Enjoy other great posts by Crew members for the August Blog Hop! Click on the button below!